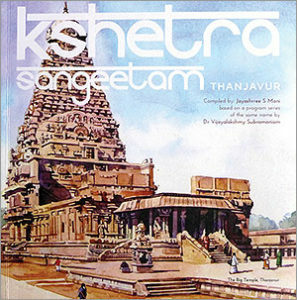 Kshetra Sangeetam is a book and Carnatic music album series compiled and published by Jayashrree S Mani based on a thematic concert series conceptualised by Dr.Vijayalakshmy Subramaniam. Each concert in this series covers a collection of songs about a specific Kshetra; In addition a scholar is invited to speak about the historic significance and ethos of each Kshetra prior to the concert. Jayashrree, an ardent music lover and rasika decided to record the contents of the concerts with people everywhere, who are interested in preserving our cultural heritage and in music. The first book is on Thanjavur. The contributing scholars are Dr. Sudha Seshayyan and Dr. Chithra Madhavan; the book was edited by Chitra Mahesh. 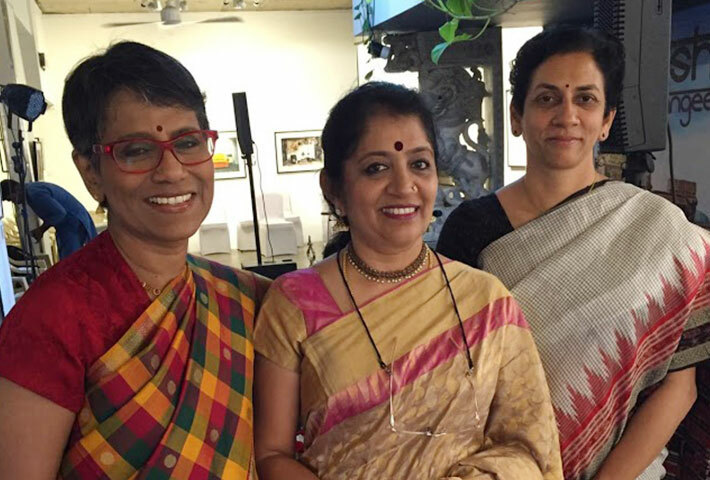 The design of the book from concept to production and the idea of the formats and the artistic presentation was done by Producers Anita Pradeep and Vanita Vasudevan. The Art in the book was hand painted through many processes and testing with Artist Raghu and later digitally enhanced to give the book a very contemporary, “must have” feel. Art Direction by Nakul Talgeri.